Sung in English, this dark Gothic tale follows the fortunes of Faust, who weary of life, is contemplating suicide when he encounters Méphistophélès (the Devil). Faust agrees to exchange his soul for eternal youth and the fulfilment of his hedonistic wishes. The resulting journey balances romance and temptation; and is widely regarded as a magical and tuneful masterpiece, based on Goethe’s dramatic poem Faust, one of the great works of European Literature. 2015 was SCO’s 10th Anniversary and to celebrate it we staged, the nowadays rarely performed opera, Faust by Charles-François Gounod. It was once one of the most famous and most performed of all operas, and contains many much-loved musical highlights including the memorable Soldiers’ Chorus, Méphistophélès’s rowdy ‘Song of the Golden Calf’, and Marguerite’s Jewel Song with its dazzling coloratura. Our acclaimed production of Faust toured to 18 venues across the UK, conducted by John Beswick, set design by Brendan Wheatley and costume design by Gabriella Ingram. 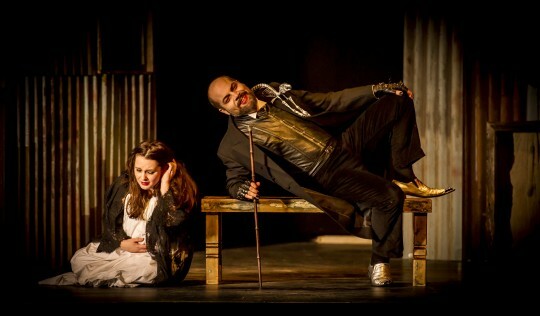 Swansea City Opera, to celebrate its tenth year this year, has wheeled out the little performed opera; Charles Gounod’s, Faust. A cautionary allegory with debauchery, hedonism, mild Homo-eroticism, greed and death as its central themes should be explosive……Well it was! This is a powerful, beautifully framed, presented and performed show with such excellence the thunderous applause at the end was not only well earned but well-meant too. No one could have left this show disappointed. With a tale dating back to the mid sixteenth century, first found in a German book in 1587, the legend of Faust had had one or two face lifts before German Poet Goethe got hold of it in the mid Eighteenth century and wrote his poem, Faust. Noted as a benchmark in European literature Charles Gounod’s Opera of the same name premiered in Paris around a hundred years later, in 1859. With a beautiful Orchestra of twelve players the score was so superbly presented. One was aware that this orchestra was having to hold back its power to allow for the human voices to be heard above; but really they needn’t to have worried as the voices were strong and powerful and the music blended with the harmonies really as it held its audience spellbound. Mark Saberton’s Mephistopheles or the Devil as we know him, was so mightily sinister the audience were dragged in by the sheer power and magic of his performance. We were also wooed by the beauty of Marguerite so strong, so powerful, so sumptuous. Brendan Wheatley’s direction shows a superb comprehension of the text,it’s depths and its themes. He has fun with these characters and has brought the temptation, the evil and greed so much to the fore that one could have as easily been watching a brand new story for this capitalistic, sometimes over greedy world, as opposed to a story almost five hundred years old. Maybe its eternal? The design was daring and inspiring. Using just a back drop of corrugated iron it gave the area a down at heel, Victorian slum feel. But then the audience were treated to the lavish costume that gave it the Gothic Mary Shelley kind of ambience. Tonight Salopians were treated to a fresh, an entertaining and thrilling evening of theatre. If this is Swansea’s tenth anniversary then I‘ m convinced people will wait expectantly for productions in the many decades to follow. Perhaps for some, Opera is a difficult medium to identify with. Maybe it can be ,but having companies with the artistic integrity and cultural understanding that Swansea City Opera demonstrated, we should be seeing and hearing Opera for years to come and the World will be a better place for it. What’s your price? What would tempt you? Answers on a postcard to Mephistoheles care of Swansea City Opera. I’m sure it will find its way…just be careful what you wish for! Her oratorio experience includes: La Petite Messe Solennelle, Bach Mass in B Minor, Mozart Requiem, Mass in C Minor, Haydn Nelson Mass, Brahms Requiem, Carmina Burana, Verdi Requiem, Beethoven’s 9th Symphony, Vivaldi Gloria and Elijah. Mahler’s 2nd Symphony. Outside of singing Rebecca enjoys a busy teaching schedule, a good book and afternoon tea. Angharad Morgan studied at the Royal Welsh College of Music and Drama and subsequently at the Wales International Academy of Voice with Dennis O’Neill and soprano Nuccia Focile. She has had the privilege of being tutored by Dame Kiri Te Kanawa, and was one of the first recipients of a Career Development Award from the Bryn Terfel Foundation. 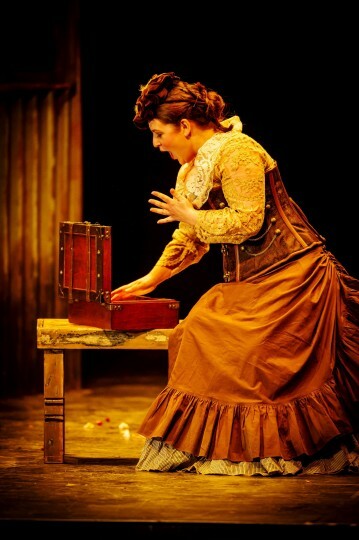 In 2012, Angharad made her professional operatic debut with Wexford Festival Opera as Second Woman A Village Romeo and Juliet and Peasant Farmer Le roi malgré lui. She joined Glyndebourne Festival Opera in 2013 as a Jerwood Young Artist. Whilst there, she understudied Alice Ford Falstaff and performed the role of Ione in a newly commissioned work Wakening Shadow by Luke Styles. She subsequently performed Dew Fairy Hänsel und Gretel for Glyndebourne Touring Opera. Recent engagements include her return to Glyndebourne to understudy the role of Arminda in their production of La Finta Giardiniera for the 2014 Festival. Alberto Sousa was born in Madeira (Portugal), and graduated in Singing from the University of Aveiro, studying with António Salgado. 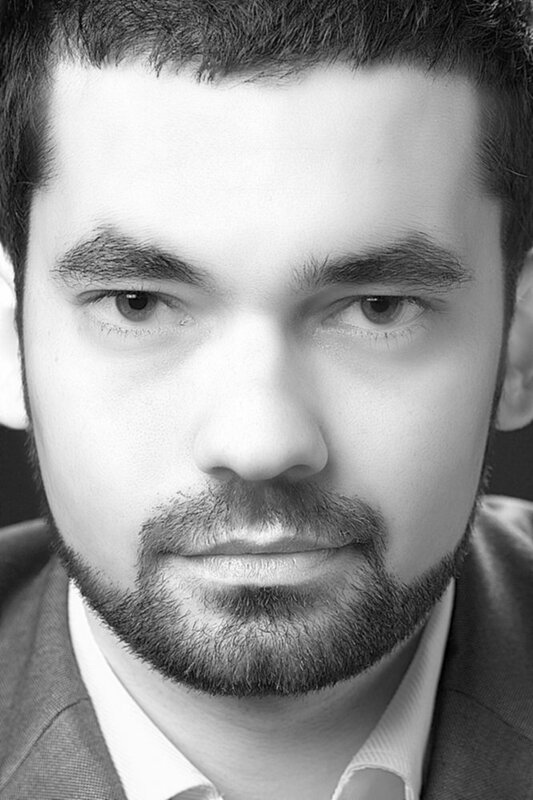 He was then accepted onto the GSMD Opera Course, studying with Laura Sarti. As an alumnus of the Solti/Te Kanawa Accademia di Bel Canto (2012) he recorded a CD of Italian songs produced by Richard Bonynge, commemorating the 100th anniversary of Sir Georg Solti’s birth. Back in the UK, Alberto has recently performed Die Fledermaus with Danube Opera at St. John’s Smith Square, La Cenerentola with the Clapham Opera Festival, Gaston (and cover of Alfredo) in Grange Park Opera’s La Traviata and Verdi’s Requiem with the Southbank Sinfonia. Ben Kerslake studied at the Queensland Conservatorium with an exchange to the Guildhall School of Music. He received first class honours and a Master of Music. In this period he was awarded a Masters scholarship, Tenor Scholarship, the Opera Scenes Prize and was selected for the Opera Queensland Developing Artist Program. In 2004 Ben moved to the UK and made is Opera North debut. Ben’s lead tenor performances include Carmen, La Bohème, La Traviata, Madama Butterfly, Nabucco, Don Pasquale, The Pearl Fishers, The Magic Flute, Il barbiere di Siviglia, Le Nozze di Figaro, Hugh The Drover, The Merry Widow, The Burning Fiery Furnace for Opera North, Scottish Opera, Opera de Baugé, Opera Queensland, the Monte Carlo Festival and the Ravenna Festival amongst others. 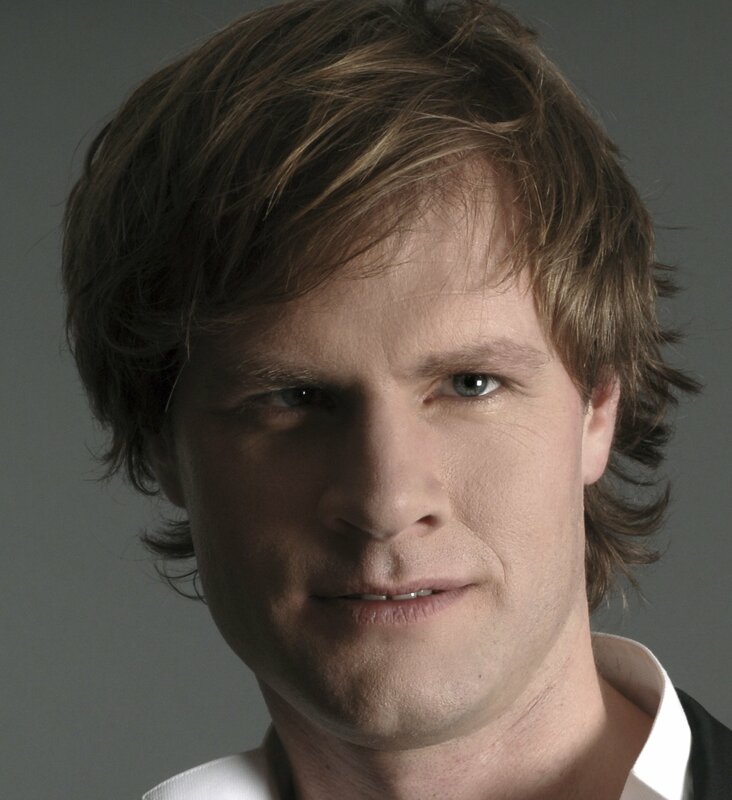 Ben has been a tenor soloist in Venice, Abu Dhabi, the Singapore Festival, Luxembourg and the Sydney Opera House. 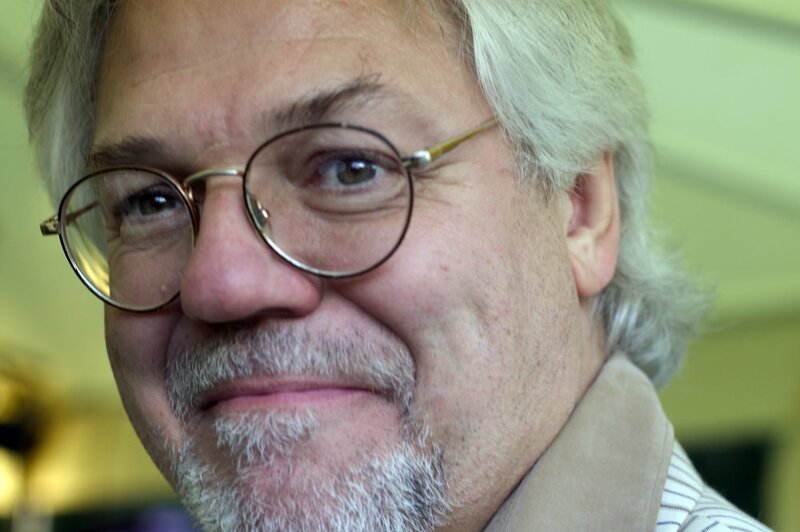 He created the role of Arlecchino in the World Premiere of Dove’s Pinocchio (Opera North, BBC Radio 3 & Sky Arts). In 2009 Ben sang the National Anthems for the Four Nations at Twickenham, broadcast internationally on Sky & Fox Sports. Mark grew up in Suffolk and studied at the Royal Scottish Academy of Music and Drama. 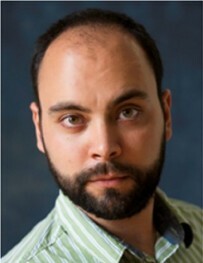 He has previously performed with Swansea City Opera as Antonio (Marriage of Figaro) and Escamillo (Carmen). 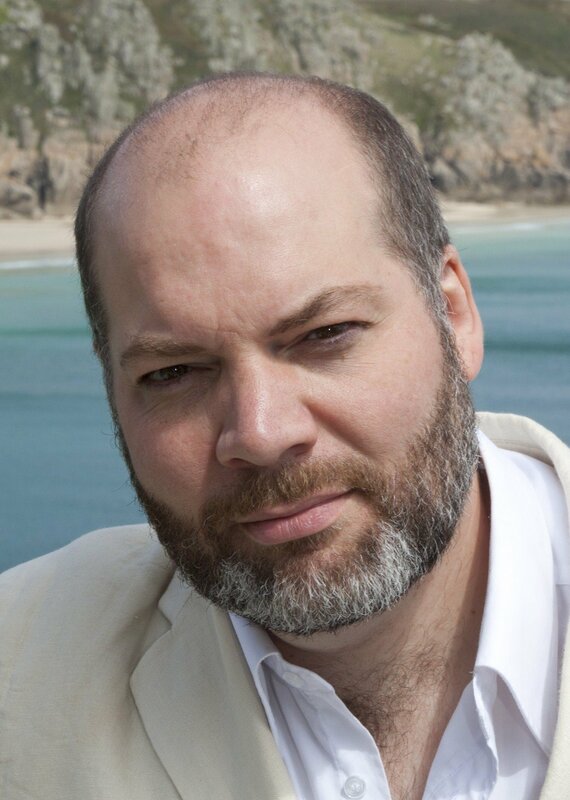 His other roles include Bottom (A Midsummer Night’s Dream); Rigoletto and Amonasro (Aida) for Kentish Opera; Figaro (Marriage of Figaro), Scarpia (Tosca), Don Giovanni and Sharpless (Madame Butterfly) for Heritage Opera; Ben Budge (Beggars Opera) for Royal Opera and the Hotel Waiter/Boatman (Death in Venice) for Aldeburgh and Bregenz Festivals with Paul Daniel and Yoshi Oida. Alongside David Owen Norris he took part in the Mozart satires Die Sober Flirter and The Reduced Figaro in Norway and around the UK. At Bampton Classical Opera he introduced Salieri’s Falstaff to a British audience. He has broadcast on BBC Radio 3’s In Tune with both. Mark often performs oratorio notably Brahms’ Requiem at Birmingham Symphony Hall, and Haydn’s Creation with Skipton Camerata. Recordings include the role of Ben Budge (Beggars Opera) with the City of London Sinfonia and Royal Opera under Christian Curnyn. Håkan Vramsmo has appeared at major venues and festivals including the BBC Proms’ opening night, Wigmore Hall, Bridgewater Hall, Amsterdam Concertgebouw, Stuttgart Liederhalle, Sibeliusacademin, Aldeburgh, Bath, and Cheltenham with such pianists as Iain Burnside, Julius Drake, Bengt Forsberg, Graham Johnson, Roger Vignoles, Llyr Williams and Andrew West. He has also appeared with the Hebridies Ensemble, Carducci Quartett, Gabrieli Consort, Sharoun Ensembles, BBC Symphony, Jerusalem, City of Birmingham, Bournemouth, English Chamber, Wroclaw, Zagreb, Barcelona, Gothenburg, and Malmö Symphony Orchestras conducted by Martyn Brabbins, Paul McCreech, Leonard Slatkin, Sir David Willcocks and Leon Botstein. He has frequently recorded for BBC, Private Joe by Panufnik for Polish radio, B-minor Mass on Signum Records and Elisabeth Maconchy’s opera The Departure for Chandos Records. His has sang 25 operatic roles and he created Axel in Meredith’s Tarantula in Petrol Blue, Carl in Colerige-Taylor’s Thelma and Pascoe in Huw Watkins’ In the Locked Room. Håkan teaches singing at Citylit Institute in London and is invited to Masterclasses at the Koninklijk Conservatoire Brussel. Originally from Nottingham Alexandra Cassidy trained at the RSAMD, at the National Opera Studio and the Solti Accademia di Bel Canto with Leo Nucci. Operatic roles include Zulma L’italiana in Algeri for Scottish Opera; Amando (cover) Le Grand Macabre for English National Opera; Mercury & Second Witch Dido & Aeneas(Old Vic Tunnels); Flora La Traviata and Zita Gianni Schicchi (Wexford Festival Opera) Lehrbuben Meistersinger (Glyndebourne); Trio Spilt Milk and Trouble in Tahiti (Grimeborne); La Ciesca Gianni Schicchi (Scottish Opera/RSAMD); Minskwoman Flight, Mrs Herring Albert Herring and Dorabella Così fan tutte (RSAMD). Alexandra has performed as a soloist with a wide range of ensembles, notably BBC SSO, Scottish Opera Orchestra, Welsh National Opera Orchestra, Royal Ballet Sinfonia, The Hebrides Ensemble and the Royal Philharmonic Orchestra. Highlights include the Vietnamese première of the Verdi Requiem at the Hanoi Opera House for the British Council and Concordia Foundation. 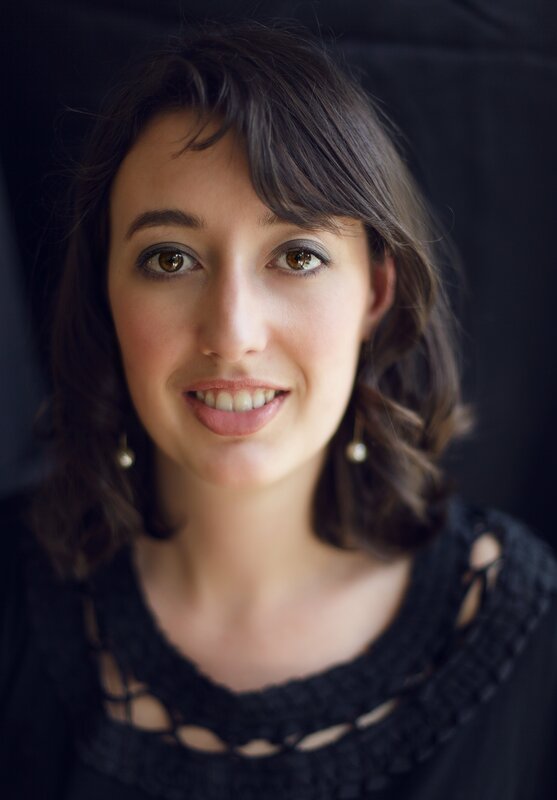 Maria Aegyptica Mahler Symphony 8 at Royal Festival Hall conducted by Ronald Corp.
Caroline Carragher (Marthe) is a lyric mezzo soprano and studies with Dennis O’Neill and Nuccia Focile. 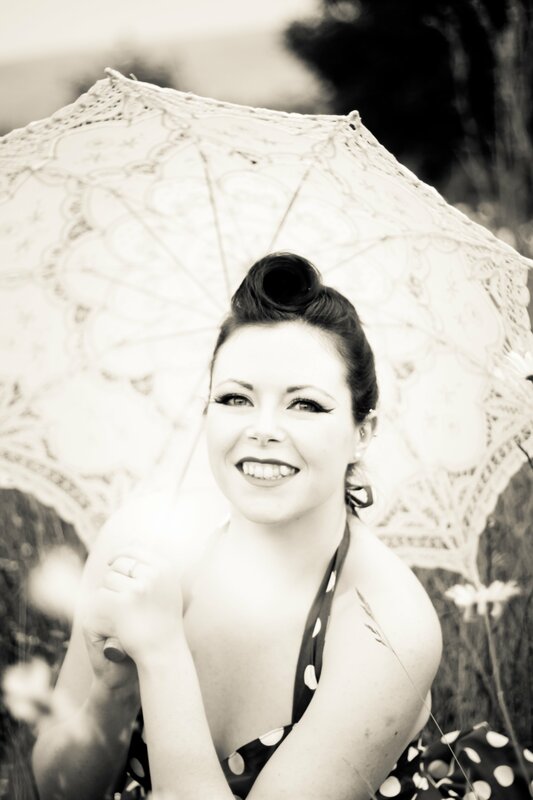 She was recently awarded MA Advanced Vocal Studies with Distinction from Wales International Academy of Voice. Caroline appears on several ensemble recordings for Chandos, Sain, EMI Classics and Priory Records, and numerous BBC broadcasts conducted by Sir Richard Hickox. 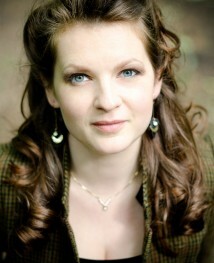 She was also mezzo soloist in the world premiere of John Hardy’s Spaces – Beyond the End of The World. Roles include Carmen Carmen Opera at Bearwood, Suzuki Madam Butterfly Park Opera, Olga Eugene Onegin OAB, Polina The Queen of Spades Park Opera, The Sorceress Dido and Aeneas Surrey Opera and Fenena Nabucco Kennet Opera. Recent engagements include alto soloist in Mega Messiah (Wales Millennium Centre), Côr Penclawdd’s Mozart Requiem and Côr Caerdydd’s ‘Nelson’ Mass. Caroline performed in the opening recital of 2014’s Radyr Festival, and provided alto solos for John S. Davies Singers’ Bach G Minor Mass and Vivaldi Magnificat in Saint David’s Cathedral, Pembrokeshire. Caroline returns to Côr Penclawdd as alto soloist in 2015’s Messiah. 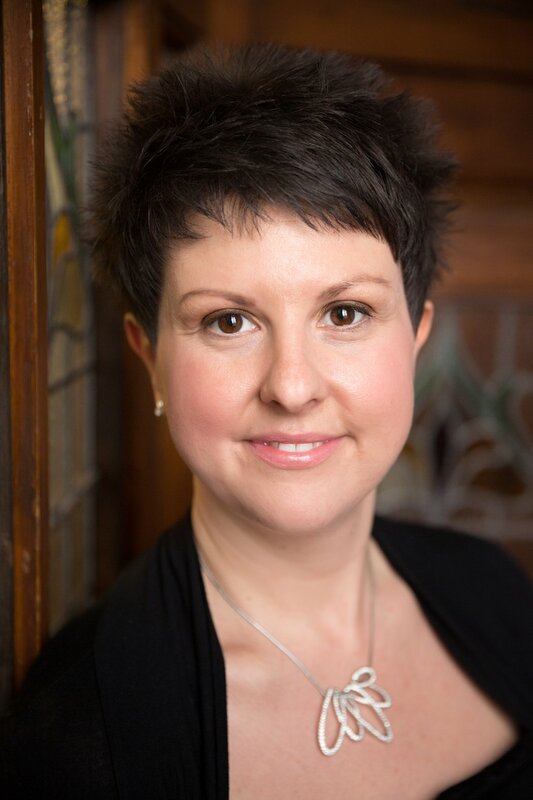 Caroline is delighted to be joining Swansea City Opera for their production of Faust. For further information, please visit carolinecarragher.com. Portuguese baritone Ricardo Panela studied singing in Portugal and at the Guildhall School of Music & Drama, with António Salgado and Laura Sarti, respectively. He also worked with singers such as Della Jones, Monserrat Caballé and Teresa Berganza. He currently studies with Dennis O’Neill at the Wales International Academy of Voice, supported by the International Opera Awards Foundation. His operatic roles include, amongst others, Dandini in La Cenerentola (Clapham Opera Festival), Silvio in I Pagliacci (Woodhouse Festival), Count Almaviva in Le Nozze Di Figaro (Britten-Pears Young Artists Programme); Figaro in Il Barbiere di Siviglia (Opera Brava); Malatesta in Don Pasquale (Clapham Opera Festival); Raimbaud in Le Comte Ory (Opera South); Belcore in L’Elisir d’Amore (Pop-Up Opera). Ricardo is also a regular lecturer for Opera Prelude. Future projects include, Gaudenzio in Rossini’s Il Signor Bruschino for the Gulbenkian Foundation in Lisbon and Malatesta (cover) in Donizetti’sDon Pasquale for Longborough Festival Opera. John studied music at Hertford College, Oxford before postgraduate studies at the Guildhall School of Music and Drama (repetiteur) and the Royal College of Music (conducting). He has conducted opera throughout the UK and the US for companies such as London City Opera, Pimlico Opera and Swansea City Opera. 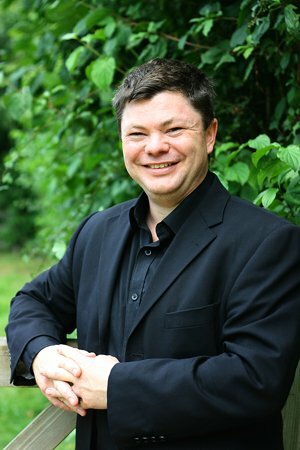 Currently the Principal Conductor of the Redhill Sinfonia, he has conducted many other orchestras including the Icelandic Symphony Orchestra, Oxford University Orchestra and Slough Philharmonic. 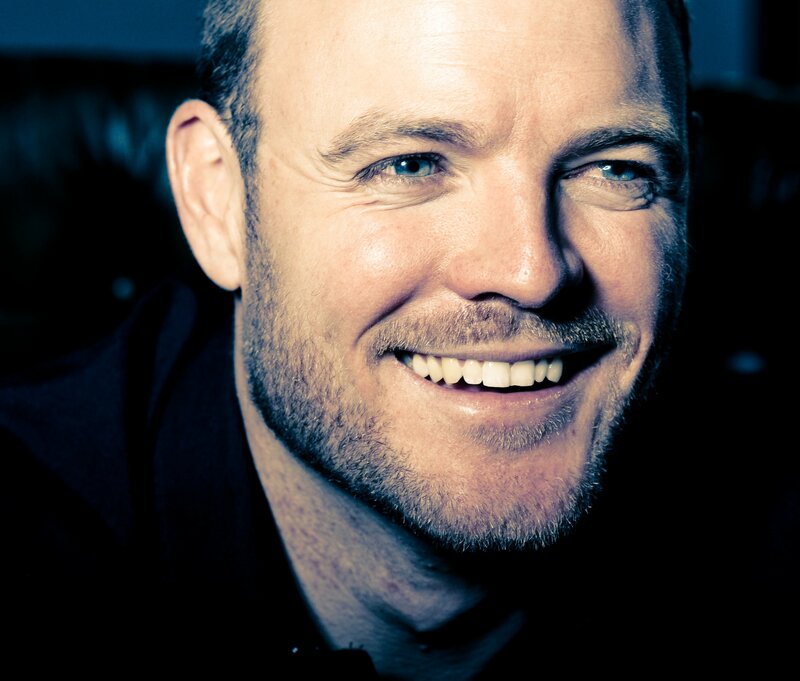 In the field of Music Theatre John has conducted Les Miserables (West End), Miss Saigon (UK tour) and Damon Albarn’s ‘pop-opera’ Monkey Journey to the West (London’s O2 venue); he has also played keyboards on many shows including Legally Blonde, Jersey Boys, Top Hat and Phantom of the Opera. He has worked on many youth projects home and abroad, and was thrice Musical Director for Pimlico Opera’s famous Prison Projects. Brendan was born in Hinckley, Leicestershire and studied at the Guildhall School of Music and Drama where he was awarded a three year scholarship on the performers course. Another scholarship awarded to him at the end of this course enabled him to attend the Opera Course for a further year but this was cut short when he auditioned for Glyndebourne Festival Opera and was immediately offered a contract. Brendan sang for three seasons with Glyndebourne, making his debut as ‘The Keeper of the Madhouse’ in the internationally acclaimed production of Stravinsky’s The Rakes Progress, designed by David Hockney. After leaving Glyndebourne, Brendan pursued his career as a freelance singer working with many companies both in Britain and abroad, and has now sung many major roles – from Don Giovanni to The Flying Dutchman – he also created the role of Figaro in the world premiere of Giles Swayne’s Le Nozze di Cherubino. His concert and oratorio work has taken him to such prestigious places as The South Bank, Royal Albert Hall, Huddersfield Town Hall and many cathedrals and churches throughout Britain. In 1989 he founded the touring company Opera Box with his partner Bridgett Gill, over the years directing many operas for the company. In 2004 the company received funding from the City & County of Swansea, and became Swansea City Opera. First performed: Paris March 1859. Faust is an aging scholar, who, after spending decades of his life studying, has realized he has achieved nothing, all the while missing his youth and chances at love. After cursing science and faith, Faust attempts suicide, twice. Each time he’s about to drink poison, he hears a choir outside his window and sets the poison back down on the table. Faust, desperate, seeks guidance from the devil, and moments later, the devil, Méphistophélès, appears. Faust tells him of his desires for youth and love. The devil tells Faust that he can have it, but only if he forfeits his soul. Faust struggles with the decision, but the devil tempts him further by showing him a vision of a beautiful young maiden, Marguerite. Faust makes a deal with the devil, and the devil turns the poison into a potion of youth. Faust drinks the potion and transforms into a handsome, young man. The two travel out in search of Marguerite. Faust and Méphistophélès arrive at an inn, where townspeople, students, and soldiers celebrate in merriment. A young soldier, Valentin, about to leave for the war, asks his friend Siébel to protect and watch over his sister, Marguerite. Siébel agrees and the crowd begins to sing another song, but is interrupted by Méphistophélès when he begins to sing a song about gold and greed. He then causes wine to flow from an old barrel and provides everyone with alcohol. He gives a malign toast towards Marguerite, and Valentin; Valentin draws his sword, but it is useless against Méphistophélès’ powers. At that moment Valentin knows who he is dealing with and uses a crucifix given to him by Marguerite, to get away from the devil. When Méphistophélès is joined by Faust once more, Faust sees Marguerite and offers his arm to see her home. He tells her that he admires her, but she politely declines his advances. Siébel leaves a small bouquet of flowers outside of Marguerite’s door, as he has taken a liking to her. Faust sees this and sends the devil out to search for a better gift. The devil returns with an ornate box filled with exquisite jewellery. Faust leaves the box outside of her door next to Siébel’s flowers. A while later, Marguerite’s neighbour arrives and spies the ornate box. She tells Marguerite that she must have an admirer. Marguerite tries on the magnificent jewels and falls in love with them. Faust and the devil make their way into the garden and visit with the two ladies. The devil flirts with Marguerite’s neighbour so that Faust can speak to Marguerite alone. The two steal a quick kiss, but she sends him away. The two men leave, but stay close to her house. Marguerite sings a song, wishing Faust would return. Faust, hearing this returns, she greets him, and the devil laughs maniacally – he knows his plan is working. Many months have passed, and Marguerite has a child. Meanwhile, Valentin and other soldiers have arrived home from war. Valentin questions Siébel about Marguerite, but is unable to get a clear answer. Valentin enters Marguerite’s house to check on her. Faust, feeling remorseful for abandoning her, returns with Méphistophélès, unaware that Valentin is there. Outside of her window, Méphistophélès sings a very rude ballad, mocking her. Valentin recognizes the voice and rushes outside with sword in hand. The three men fight. Méphistophélès blocks Valentin’s sword, and Faust delivers the fatal blow to Valentin. Méphistophélès pulls Faust away. Marguerite rushes to her brother’s aid, but he curses her in his last dying breath. She runs to the church, seeking forgiveness, but is stopped along the way by Méphistophélès. He bombards her with threats of damnation and curses. Walpurgis Night (The Witches’ Sabbath). Faust and Méphistophélès are surrounded by the voices of demons. Faust is shown a vision of Marguerite: she has been driven insane. She sits in a prison, condemned to death for murdering her own child. Méphistophélès appears with Faust in order to collect her soul. At first, she is happy to see Faust. However, she refuses to go with him, and recalls their first days together and how happy they once were. Méphistophélès becomes irritated and tells Faust to make haste as dawn is breaking. Faust tells her that they can save her, but again, Marguerite refuses to go with them. She asks the angels for forgiveness and tells Faust that she entrusts her fate to God. Méphistophélès drags Faust to hell as Marguerite heads to the gallows. As she dies, a chorus of angles surrounds her spirit and announces her salvation. First performed in 1859, Gounod’s opera was immensely popular both in England and Europe during the Victorian and Edwardian eras. Even though its popularity has declined over the last century some of its arias and choruses have enduring appeal and the story of Faust and his pact with the devil continues to resonate with audiences and invite new angles of interpretation and direction. For a successful performance of any opera, one central requirement needs to be met – the singers must be up to the mark. Without exception this was true and there was much fine singing, vocal technique and sharp characterisation on display throughout. Alberto Sousa may not have looked much like an old man at the start of the work but he sounded careworn and disappointed with his life. However, as he recaptured his youth, his voice took on an extra brio and he sang ardently in his duets with Marguerite. Mark Sabberton was well cast as Mephistopheles, initially plausible and engaging but gradually turning the screw and revealing his dark depths; his diction was also particularly clear. Angharad Morgan sang Marguerite with a sweet, clear tone, adding an extra sheen in her celebrated Jewel Song. In her unhappy end she found a touching and credible pathos. The smaller parts were all performed with vocal and dramatic aplomb and the local and intriguingly-named Rabble Chorus performed rather better than their name suggests. A touring production in a venue not specifically designed for opera does involve compromises in the music. The reduced orchestra under the astute baton of Music Director John Beswick, played with great commitment and responded well to the varying demands of the score. However, a string quartet alongside woodwind and keyboard does present some difficulties of balance and on occasions the sound had something of an edge. 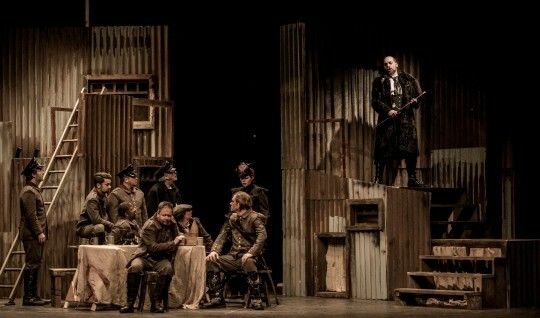 Director Brendan Wheatley set the opera very much in the late Victorian era, with extensive use of corrugated iron, the stage space was effectively used and the lighting helped to create an authentic atmosphere. A thought-provoking performance of one of the cornerstones of the opera repertory in a local theatre is always something to cherish and the close attention and warm applause was indicative of the audience’s appreciation. 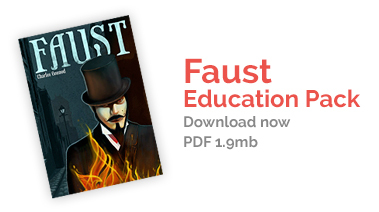 The story of Dr Faust goes back a long way and has been written in many mediums. Originating from German folklore, the most famous early English version was Marlowe’s The Tragedy of Dr Faustus written around 1592 – made popular after his death by almost continual performances by The Admirals Men. People through the ages have long been fascinated by the juxtaposition of good and evil. ‘Women love a bad boy’, and ‘the devil has all the good tunes’ are epitomised in this operatic version which was written in 1859 and was once the most famous and most frequently performed of all operas at both Covent Garden and Paris between 1863 and 1911. This is Swansea Opera’s 10th anniversary tour – and at a time when opera is struggling to find funding and English National Opera is embroiled in crisis – it is something rather special to have such an accomplished company appear on our doorstep – so to speak – complete with chamber orchestra conducted by John Beswick. I’m not going to pretend I know a lot about opera – but from a lay person’s perspective this was a magnificent performance. The story of Faust is in some respects a simple one – as the scholar is coming to the end of his life he realises how much he regrets, especially his lack of love, and longs to have his youth back so that he can pursue his lusts again. The Devil hears him and offers him that chance – if he agrees to give him is soul in return. Faust agrees and is given a potion that makes him young again. He travels to an inn and spies a young woman, Marguerite, who he decides to pursue. With the devil’s help he seduces her – but ruins her in the process. Tragedy follows as she kills the baby she gives birth to and is locked up in prison and her brother is killed trying to defend her. At the end Faust repents of his sin but its too late as the Devil comes to claim his reward and drags him to hell. The set was a simple one – two corrugated iron platforms served for Marguerite’s house, the inn and the Devil’s abode. The levels were used well to stage the scenes. The rest was up to the singers. This is some respects a pared down opera – and sung in English made it much more accessible to those of us who attend this gene rarely. I often feel that in opera the acting takes second place to the vocal skills, but here Suffolk born Mark Saberton was simply brilliant as Mephistopheles – totally believable – treading the fine line between seductive and wicked – and with gorgeous costumes to enhance the character the performance came to life whenever he was on stage. Albert Souse and Angharad Morgan as Faust and Marguerite maybe did not look the parts – and their acting skills were lacking a little, but they certainly had wonderful voices and didn’t put a note wrong. They were supported by a strong cast vocally – the most outstanding being Hakan Vramsmo playing the brother Valentin – and a locally sourced chorus who did us proud. It was just a pity that a lot of the time they sung off stage making their impact a little muffled. A very entertaining and interesting evening that has encouraged me to seek out more opera in the future. How times flies when you are having fun – 10 years since City of Swansea Opera raised the curtain on its first show. How times also flies when you have sold your soul to the Devil as poor old Faust finds out in the Gounod opera of the same name. For this 10th anniversary production the company chose a Victorian Gothic take on Gounod’s once wildly popular work that is coming back into vogue. This was a brave choice, not only due to the massive individual vocal demands it makes of its principals but also the hit-you-between-the-ears big number demands from voice and orchestra. The problem of how to have the large vocal impact was solved by the sensible use of local singers and choirs to bulk up the cast. The effect was glorious. Conductor John Beswick and the small ensemble of musicians brought colour and texture from the melody-rich score allowing the singers to make the evening their own in terms of grabbing the audience’s attention. The tale of temptation and devotion, lust and sacrifice is played out with this sort of sepia tinted Gothic world with the only flashes of colour being the scarlet lining to Méphistophélès’ hat, for example, and the immoral Marthe’s dress. That role was sung and acted by Caroline Carragher with great aplomb and fun. Angharad Morgan was vocally a magical Marguerite with a glorious fireworks thrill balanced with gentleness and ultimate pathos in this god-awfully pathetic character’s role. The acting was not sensationally fluid but that could be down to the choice of director Brendan Whatley in making this as much a Victoria melodrama as Gothic horror. 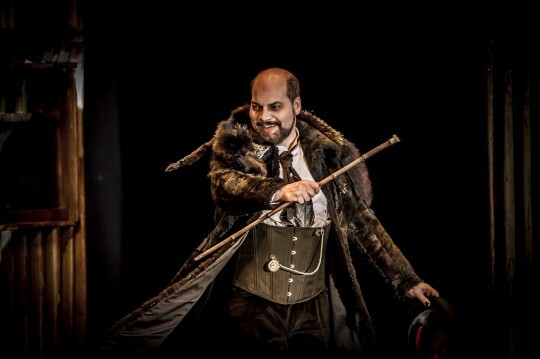 The Faust of the piece was well taken by Alberto Sousa with some eloquent singing and he was given much more to do dramatically as was the case with the particularly rich baritone of Hakan Vramsmo as Valentine. Wagner was brightly sung by Ricardo Panela. 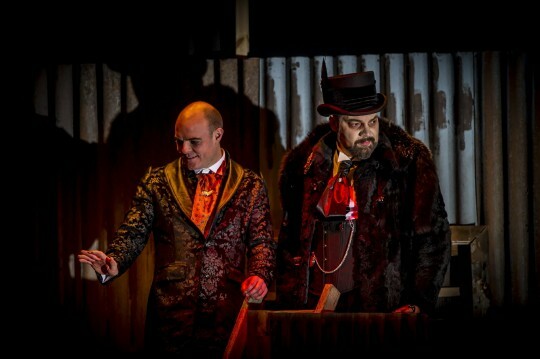 The biggest dramatic role and fun singing came from Mark Saberton’s Méphistophélès, the panto villain of the piece which fitted rather well with this almost Victorian Music Hall boo hiss approach to the opera. Alexandra Cassidy was a prettily sung Siébel, the lad whose flowers are no substitute for the casket of jewellery given to Marguerite by Faust (and conjured up by Méphistophélès) which prompts the opera’s most famous aria, the Jewel Song. Add to that the uplifting Soldiers’ Chorus, Méphistophélès’ own tingling trills, especially The Song of the Golden Calf, and this is a musically compelling evening. The Victorian Gothic approach to the design was perfectly good although Marguerite’s costume did rather restrict her movement. Well, it seemed so to me, but again that may have been deliberate, and the hat hid her face. Once in her fallen woman clothes she could let it all go a bit more and her mad scene was nicely delirious. I am not so sure about the corrugated iron set, including a corrugated cross, which was supplied by the Swansea film company that makes the US/UK series that set in Renaissance Italy, Da Vinci’s Demons. I have struggled to think why the characters live in a sort of metal shanty town but I am sure the answer is out there somewhere. But this was a night for the ears rather than the eyes so I didn’t spend too long trying to work it out. The overture to this production of Gounod’s Faust began with the restrained tones of a string quartet, and the curtain opened to the bowed figure of the elderly Faust alone on stage lamenting his fate, then from off-stage the sounds of a choir. A strong atmosphere was created from the start, which augured well for this reduced-scale touring production of the still-popular jewel of the mid-nineteenth century French operatic repertoire, sung here in English. This is Swansea City Opera’s 10th anniversary production, and all credit to Artistic Director Brendan Wheatley for bringing opera to some of the smaller towns of Wales (and England and Scotland) on this 2015 tour – Faust has already been to Milford Haven, Pwllheli and Brecon, and goes on to Holyhead and Rhyl before reaching Swansea at the end of May. All potentially good in pursuit of the company’s laudable aim of making opera accessible and bringing it to new audiences. The people of Abergavenny and around certainly turned out in sufficient numbers to nearly fill the 338 seat Borough Theatre. However, to the best of my knowledge and observation there were no young(er) people there, which was a shame. Given the small size of the theatre, and of the orchestra, here was an opportunity for an intimate interpretation ofFaust, but this was not in the event what we got. Reduced in scale yes, but not restrained in character. So, Méphistophélès, the devil himself and villain of the piece, was here played by baritone Mark Saberton rather more in the style of a swaggering circus ringmaster than the frightening svengali figure (at least as pictures from the time show) cut by the famous Russian bass Chaliapin, one of the classic interpreters of the role at the turn of the twentieth century. Faust, played in this performance by Portuguese tenor Alberto Sousa, is clearly Méphistophélès’s puppet, but there was scope here for more subtlety in the characterisation, given the size of the playing space and the proximity of the audience. The costume design by Gabriella Ingram is intended to convey the steampunk nature of the production, in a Victorian industrial setting, but with fantastical overtones. Unfortunately, for me, Méphistophélès’s super-shiny pointy metal shoes threatened to upstage him, and steampunk aspects of some of the other costumes looked merely slightly strange rather than adding layers of meaning to the production. Similarly, the set, built to resemble a corrugated iron Victorian city slum, served the purpose of providing an upper level for the singers, but was also sometimes distracting as the performers negotiated ladders and awkward steps. The singing throughout was excellent from the entire company. Although there could have been more variation in volume, Angharad Morgan’s consistently rich tones throughout her vocal range, Mark Saberton’s deep resonances and Alberto Sousa’s soaring high notes were all splendid, but would have been the more so had they been matched by stronger acting. It is disappointing to see professional opera singers, still – now that the music colleges are paying more attention to the development of acting skills – sawing the air, pacing around the stage or taking hats off and putting them back on moments later for no apparent reason. That said, there were for me stand-out performances from Swedish baritone Håkan Vramsmo as Marguerite’s soldier brother Valentin and, especially, from mezzo Alexandra Cassidy as Valentin’s friend and would-be wooer of Marguerite, Siébel. The death scene of Valentin, which risks appearing ridiculous, like all deathbed scenes in opera where a singer continues to sing heartily as he or she expires, was particularly well done. And Siébel, a man played by a woman, also always a fine line to walk in opera, was to me a totally convincing, indeed a compelling, character, combining beauty of vocal tone with first-class acting. The orchestra, reduced to a mere eight players with John Beswick as Musical Director also helping out on keyboards, gave proficient and sympathetic support to the singers, but as all had to play throughout, they could not deliver the variety of tone colour which a larger orchestra can provide. Neither could they supply the swell of sound that the action really requires at dramatic climaxes in the action. A feature of this production is the involvement – thanks to funding from the Arts Councils of both England and Wales – of local choirs as part of the chorus. The men of the Gwent Bach Society who joined the on-stage chorus acquitted themselves well. This opportunity was doubtless more rewarding for them than for the larger off-stage chorus, which was, apart from the section in Act One when Gounod intended them to be heard from a distance, a little too remote to be effective, and provided no more than a suggestion of the choral component of the opera. Bringing a production of grand opera to a small theatre presents many logistical challenges, of which how to deal with the chorus is just one. Lighting is also tricky, being limited by the resources and flexibility of the particular venue, so that in Abergavenny’s Borough Theatre there were times when the singers were not ideally lit. The question is, are the inevitable compromises worth it so as to bring opera to audiences who would not otherwise have a chance to see and hear it? Swansea City Opera, as a touring company, sits between what is offered by local amateur groups and the big opera companies. We have to be grateful that, for now at least, funding enables it to continue, particularly as Mid-Wales Opera has been forced to cancel its planned 2015 autumn tour of Rossini’sThe Barber of Seville because of funding problems. And it is wonderful that small towns can offer opera to people on their doorsteps. Would that funding had permitted an additional matinée performance in Abergavenny for local schools. The clear education pack supplied by the company really needs students to come and see the performance for the material in it be brought to life. The star of this show was Gounod’s music, by turns lyrical, reflective and stirringly rhythmic, and always tuneful. It is an ideal introduction to opera for anyone who has not heard any before. I did, however, wish that we could have magically enlarged the Borough Theatre so as to have had a full chorus on stage, with the swirl of the waltz, the bustle of the inn, the terror of the demons on Walpurgis Night, and a full orchestra to bloom and carry us all away with the drama. As it was we must be grateful that we have touring opera at all, and that people like Artistic Director Brendan Wheatley are prepared to devote themselves to continuing to bring it around Wales. Swansea City Opera Tempt Us In! Swansea City Opera, to celebrate its tenth year this year, has wheeled out the little performed opera; Charles Gounod’s, Faust. A cautionary allegory with debauchery, hedonism, mild Homo-eroticism, greed and death as its central themes should be explosive……Well it was! This is a powerful, beautifully framed, presented and performed show with such excellence the thunderous applause at the end was not only well earned but well-meant too. performed world wide. It is difficult to understand why so low. and the action make a powerful impact. to offer variations in elevation for the singers. opera sung in the original language, but words and music seemed well matched. singing in trio or duet, but he carried off key arias well. carried off all his arias in bravura fashion. (Purest Angels, Radiant Angels), set me blubbing. received louder applause than some of the leads. 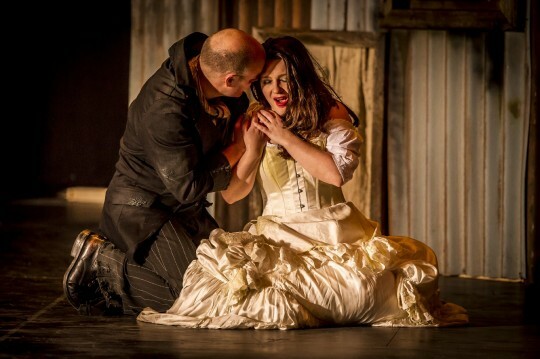 Swansea Opera’s Faust the ovation it deserved. Best production yet! Excellent cast, I heard every word!!! I have enjoyed all your productions very much, but this was the best by far! It was the first time we had been to a performance of Faust and we were impressed with the production done on a small stage and with a small cast. An intimate performance – thank you! A first rate show: all elements very good – singing, orchestra, staging. Using local choral society worked well. Pity the theatre was not full – performance deserved a full house. Thoroughly enjoyed the performance of Faust at Barnstaple this weekend. It was enhanced by the pre-show talk that explained the origins of both the story and the opera as well as the characters and their behaviour. Particularly impressed by stage settings and lighting which was excellent and the costumes reflected its adaptation to a different period. A five star performance by everyone in the cast and the orchestra performance could not be faulted. Thank you for a wonderful performance last night at the Queen’s Barnstaple. I have been to several performances of Swansea City Opera & loved them all. It is a brilliant company. Mark Saberton was a very clever Devil. My first reaction to the character was horror in the way he persuaded Faust to sell his soul, yet he also had charm. At times he moved like a snake which was very clever. There was inner power too. I was amazed by Faust; various walks showing the Devil’s power over him. I was captivated by the brown shirted soldier in the first scene. I can’t see his name but his silent facial expressions were a joy to watch. He really was there in the group. He wasn’t acting, he just was. I’d like to see him as King Lear. Sorry about the writing I have carpel tunnel. Am I likely to attend another opera the questionnaire asks? Very likely, especially if it is Swansea City Opera! 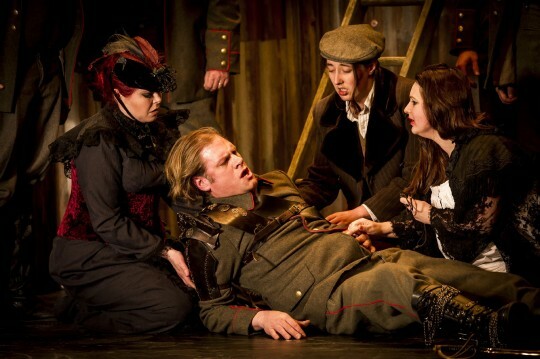 I have been to several performances of Swansea City Opera & loved them all. It is a brilliant company. Mark Saberton was a very clever Devil. My first reaction to the character was horror in the way he persuaded Faust to sell his soul yet he also had charm. At times he moved like a snake which was very clever. There was inner power too. I was amazed by Faust’s various walks showing the Devil’s power over him. I was at the Theatre Royal Winchester on March 13th. The production was brilliantly intimate and brought the human drama out of the “show”. All human life is there with its lust, nobility and vanity. Absolutely loved the performance. The staging was cleverly uncluttered with marvellous use of light and shadow. This was the first time I’d really grasped the depth of the Faust story in itself. The music was brilliant with a disturbingly appealing (to me) Mephistopheles. I first saw the Swansea Opera performing the Pearl Fishers at the same theatre and that determined me to see their Faust. It’s now Sunday morning and I’m still buzzing with the dramatic energy. Do not miss this production even if you have to do a dodgy deal with the devil. The pleasure will be worth it. Gonna blog you guys out later today. http://www.emmacalinblogspot.co.uk Thanks for a wonderful evening. Philip Plambeck @hampshireagent · Mar 13 Excellent voices @swanseaopera @TRwinchester tonight! Brilliant evening. We have enjoyed all your visits to Winchester since you first came, look forward to the next one! The enthusiasm of the singers & good quality of their voices produce a very good entertainment. Good performers, especially Mephistopheles, didn’t quite get the with the music. Prefer Marlowe!! *Wrote this in the interval, changed my mind in the 2nd half, and thought the ending was brilliant! Loved the music and the voices. Any opera in Winchester is welcome and is usually well supported in spite of our small theatre. It was also our first chance to hear Faust and we enjoyed the performance. Excellent talk – brought it all to life. I wonder why Faust is not popular today when it was in the past. The talk was very interesting and well delivered, I wish there had been more time for questions. The singing was of an excellent standard, and the small chorus was effective. The set was a little depressing – I didn’t like the corrugated iron, although the thinking behind it was explained in the talk! Brendan Wheatley’s pre-show talk was most informative & interesting. Exquisite solo singing & playing. Beautiful music played so sensitively by such a small, talented orchestra. In all, a brilliant production performed by this small company, to be applauded and highly recommended. Musically excellent, both singing and orchestral. Work deserved a much larger audience. I went to see Faust at The Wolsey, Ipswich and saw an absolutely stunning production by Swansea City Opera. The singing and acting were first rate, as was the chamber orchestra. The final scene was, arguably, the most moving one I had ever seen. The production would have graced some of the more renowned stages. It’s great that we are able to see an opera of this quality in our home town. Roll on next year, and your 11th Anniversary Tour! Saw Faust last night at the Wolsey. What a wonderful production! A clever set and some imaginative costumes for a start. Excellent performances all round with a particularly engaging Mephistopheles. I thought Angharad Morgan was in fine voice as was Hakan Vramsmo, but all the company sang and acted well. I also thought that the whole thing was very well conceived and directed and by the end I found I had a lump in my throat as Marguerite walked towards the cross. All three of us thoroughly enjoyed the evening and we look forward to the next production you tour in to the Wolsey. Thank you for a great evening. Wonderful performance at New Wolsey, Ipswich tonight. Can’t fault singing or acting at all. Not all things come right with a touring production, but I thought that staging could have been slightly further ‘back’ on the stage, the backlight towards the audience was too intense for the length of time it went on for and the siting of the orchestra – who were good – sometimes detracted from the singing. Not the fault of the production, more the fault on no pit, but please don’t let this put you off coming again. Loved singing in Faust at The New Wolsey Theatre on Friday. What an experience and what a great production. The cast and crew were fantastic. Please invite us to join you again next time! The talk was most informative, humorous and enhanced enjoyment of the performance. Given the limitations of touring, it was brilliant!Mephistopheles carries the performance! Found the talk very interesting and it enhanced my enjoyment of the performance. AN AMAZING EVENING! Had the pleasure of watching Swansea City Opera perform Faust at The Palace Theatre last night and it was truly amazing. I then also had the pleasure of meeting the cast and they kindly gave me an offer to join them in singing backstage and accompanying them. I have to say it was such a lovely experience and the cast are all genuinely talented. Well done Swansea City Opera! I just saw the production in Milford Haven at the Torch Theatre, as well as attending the pre-performance talk. The entire evening was excellent- I learned so much at the talk, which helped provide background and insight into what I was about to see and hear. The inclusion of the local Haverfordwest Operatic Society as part of the chorus was a great idea – what a wonderful opportunity for local choral groups to join a production such as this. Absolutely excellent in every way! Good music, good singing & chorus work. Effective movement on stage, pleasing set. More please! An amazing and memorizing Milford performance! Your attention to detail in producing this opera was so carefully crafted in choreography, colour and costume, and had us captivated from the excellent pre-show talk right through to the final curtain. Just wonderfully done!! It was my partner’s first ever opera and he was anxious about going but the talk was so helpful for understanding the plot (we heard every word of all the wonderful singers) and the opera’s setting in the life and times of both Goethe and Gounod, my partner has become your latest convert to the genre!! I am surprised to know that despite the opera’s successful history, it is not staged much these days. I think the story is totally relevant to our times, and your accessible production made it so, regardless of one’s religious outlook. Faust’s archetypal images and effects, staged and played so passionately by Swansea City Opera, still have us talking. Wishing you every success on your tour!! Thank you!! Absolutely brilliant performance last night in Ayr. We were sad that there was not a larger audience to enjoy the great singing and playing and conducting, .all working together to produce a memorable evening. Thank you all. Absolutely stunning. That was the finest small scale production I’ve ever seen. Overwhelmed and emotionally drained as only a great Faust can do. Thank you! Congratulations to all of the cast for wonderful singing and acting. It was a huge pleasure to meet and shake the hand of Mephistopheles (Hope my soul’s safe!) Thanks again and well done. PS Sorry I forgot about the orchestra – they were superb as well. Hope you’ll bring more productions up here. We’ll be on the look out. This was my first visit to the opera and I enjoyed it very much, it was amazing! 10/10 My boyfriend has been many times and as he says, it’s always well worth going again and again as no two productions are the same. Very informative talk, enthused us to listen attentively to libretto. Enjoyed very much. Just to say it was a thoroughly enjoyable performance of Faust on Saturday with some wonderful singing and a great performance by the small band. I feel ashamed of Brecon’s failure to produce an audience of the scale it deserved! Saw Faust in Brecon.A wonderful evening. Full voiced, full blooded- expected nothing less from Brendan. How can you follow such a production? Only disappointment was not being allowed to join in. After watching Faust at the Borough Theatre I feel that it would be wrong to single out any artist for special praise, as they were all so good! The Victorian Gothic setting really worked. After all the tale is a timeless one, and Victorian times were a combination of respectability and a very dark underbelly. The lighting helped bring the various moods to life, as did your very special singers. Loved the costumes as well. No doubt all the audience members were looking forward to your next production. It is a shame that the audience for Opera is a little narrow, but your company is trying to change this. What a great idea to involve local singing talent and include young singers, our future, and the future of Opera in this country. I was most impressed by members of the Bach Choir..
@SwanseaOpera. Your performance of Faust tonight was superb. Principal parts fantastic. Bravo! Enjoyed very much – very high quality of all the artists, on the stage and in the orchestra. Costumes and lighting also helped greatly. Thoroughly professional show with wonderful singing. I know our Gwent Bach Society Secretary has already contacted you, but I would personally like to say what a privilege it was to sing with such a talented and friendly group of singers in Faust at Brecon and Abergavenny. t gave me enormous pleasure as I haven’t sung in an opera since leaving London, where I used to sing with a ‘proper’ opera group. It was so nice just to be a very minor member of a brilliant team. My son was also impressed with the set which he felt worked very well. It must be a nightmare setting it up in all the various theatres up and down the country! We always try to support Swansea City Opera as I was born in Sketty. The voices were superb, the best production by SCO to date. The orchestra was great too! Llongyfarchiadau! It was an excellent performance and talk. Talk gave an understanding of the story and the opera. I am sorry for the delay in contacting you but I’d like to tell you my friend and I had a fantastic evening in Shrewsbury! It was a great shame that we couldn’t arrive on time for the pre-talk -which I also very much looked forward to, though, we thoroughly enjoyed the performance! Firstly, I want to congratulate the orchestra. It was amazing that they created such a rich sound for their scale. And of course, singers! They were all very well performed but particularly, I found Hakan Vramsmo as Valentine and Caroline Carragher as Marthe excellent!! It was really exciting to see and hear performers closely in such an intimate environment. I liked the venue, Theatre Severn, it is a nicely designed modern theatre located by the lovely river and the bridge. All in all, it was worth making an effort to travel such a long distance! We passed through some lovely villages on the way back to London. Once again, thank you very much for your consideration and all your help. Hope to see your company’s performance somewhere nearer in the near future again! Great performance of Faust by @SwanseaOpera at @TaliesinSwansea tonight. Thanks for putting on a great production of Faust at The Spa in Bridlington. We hardly have any opera in the East Riding of Yorkshire so please keep coming! We thought the performance was wonderful. We knew nothing of this opera but we thoroughly enjoyed it! As two pensioners, we enjoy opera for its many levels of interpretation of mood, music, ability etc. in a way no other form of theatre provides. Swansea Opera made Faust live and breathe as it dealt with age old morality play struggles that one encounters through life. The technical ability was there to see, and the sensitivity of face, form and costume conveyed a stirring journey through the age-old battle of good and evil. The reasonable ticket price in a small provincial theatre leads one to believe it will be a mediocre performance. NOT SO! SMALL BUCKS, BIG BANG! LOVED IT! PLEASE!VISIT US AGAIN!! Thank you so much for having us. It was wonderful and everyone had a fabulous time! We all loved it! Everybody was so friendly and helpful. La Boheme sounds brilliant and I’m sure that Cadenza would be very interested. Looking forward to hearing from you soon. Infrequently performed opera – Faust – so enjoyable. Great, imaginative stage set & quality performers! I always look forward to the visit of Opera Box and now Swansea Opera, and make an early booking. Having seen several of your performances I have enjoyed them all, & think the standard is excellent! Exceptionally clear explanation of story/music etc. Well done! The production was brilliantly intimate, absolutely loved the performance. This was the first time I’d really grasped the depth of the Faust story in itself. I’m still buzzing with the dramatic energy. Do not miss this production even if you have to do a dodgy deal with the devil. The pleasure will be worth it. Thanks for a wonderful evening. I went to see Faust at The Wolsey, Ipswich and saw an absolutely stunning production by Swansea City Opera. The singing and acting were first rate, as was the chamber orchestra. The final scene was, arguably, the most moving one I had ever seen. The production would have graced some of the more renowned stages. It's great that we are able to see an opera of this quality in our home town. Roll on next year, and your 11th Anniversary Tour!